Overview * The M4 fairway wood combines TaylorMade's latest innovations to provide a powerful fairway club with ultimate forgiveness. * Lighter carbon materials are used in the crown and sole to save weight that's strategically repositioned to create a lower center of gravity. 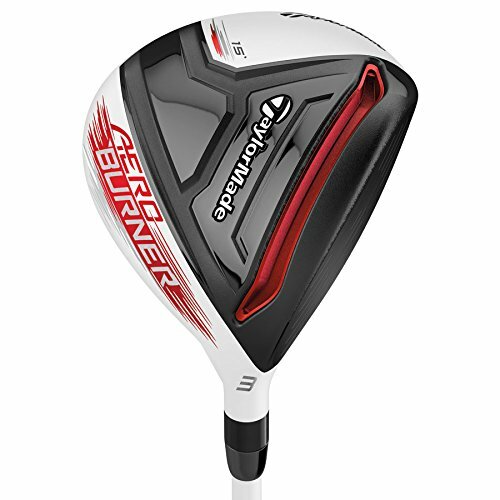 * TaylorMade's M4 fairway is a great fit for any golfer. 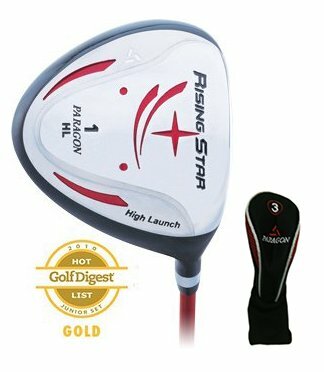 The combination of distance, forgiveness, and easy playability make it ideal for all ability levels. Features * Lightweight carbon crown and sole frees up weight that's repositioned for a lower, more powerful center of gravity * More advanced Speed Pocket offers more ball speed across the face for added distance and forgiveness * Geocoustic Technology optimizes playability, sound, and feel in an easy-to-launch, larger footprint * Split weight mass pads boost MOI with perimeter weighting for greater stability * Ultra-strong steel face insert is thinner and faster to further optimize ball speed * Fluted hosel improves sound and feel without shifting the center of gravity location * Includes headcover Lighter MaterialsThe 5-layer carbon crown and sole saves eight grams of weight that has been moved to create a lower, more powerful center of gravity.Advanced Speed PocketTaylorMade's signature Speed Pocket is engineered for faster ball speed all across the club face to give you more distance and forgiveness.Geocoustic TechnologyThis unique design increases playability by creating a large footprint in a low-profile shape for easy launch from all types of lies. The sole is shaped to improve sound and feel as well.Split Weight Mass PadsA pair of mass pads split weight toward the heel and toe of the club, increasing MOI with perimeter weighting for more stability and forgiveness. The M4 fairway wood combines TaylorMade's latest innovations to provide a powerful fairway club with ultimate forgiveness. Lighter carbon materials are used in the crown and sole to save weight that's strategically repositioned to create a lower center of gravity. TaylorMade's M4 fairway is a great fit for any golfer. 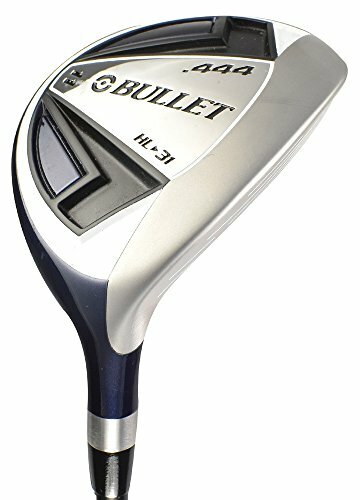 The combination of distance, forgiveness, and easy playability make it ideal for all ability levels. 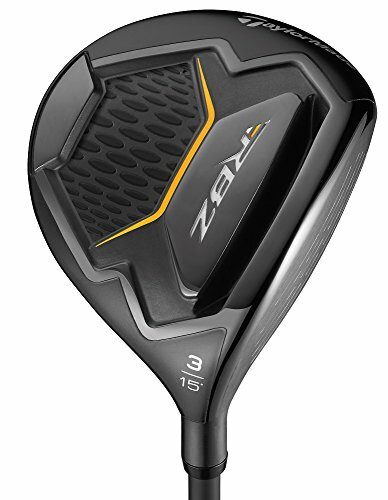 The M2 fairway woods will offer playability and performance for golfers of all abilities. With its new line of M2 fairways, TaylorMade is setting the bar even higher, as new technology is making the M2 even more explosive and significantly more forgiving. The M2aTMs lightweight carbon crown and lighter fluted hosel are enabling an even lower CG placement that generates faster ball speeds, higher launch conditions, and enhanced stability at impact. 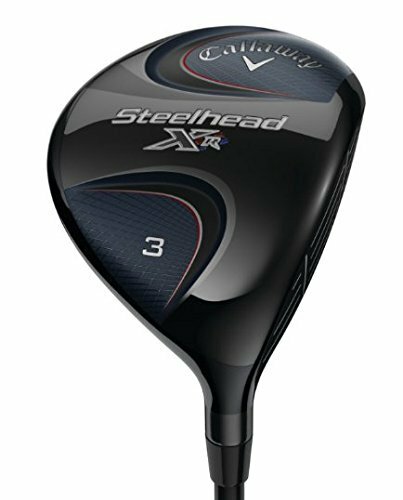 The Speed Pocket on the new M2 fairway woods is longer and more flexible, a combination that provides ball-speed protection on shots struck low on the clubface. TaylorMade is also utilizing Inverted Cone Technology for the first time in a fairway wood, which allows for a faster clubface and enlarged sweet spot. Fairway wood serves as functional driver for ages 3-5. Includes matching headcover. A progressive rail design features shallower or steeper rails depending on loft and angle of attack for improved versatility and consistent contact from any lie. An ultralight carbon fiber crown saves discretionary weight to move the CG lower and deeper, promoting higher trajectories and increased forgiveness. COBRA CONNECT, Powered By Arccos, allows golfers to track their driving distance and accuracy using detailed stats and analysis to improve their game. The new Driver Tuning feature on the Arccos Driver app leverages advanced data to recommend optimal loft and weight settings. 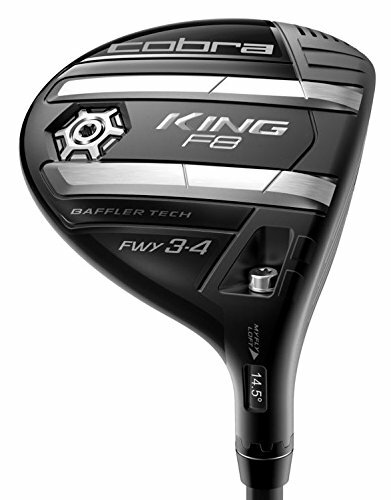 Overview * The M3 fairway wood uses a new generation of multi-material construction to save weight and create more power. 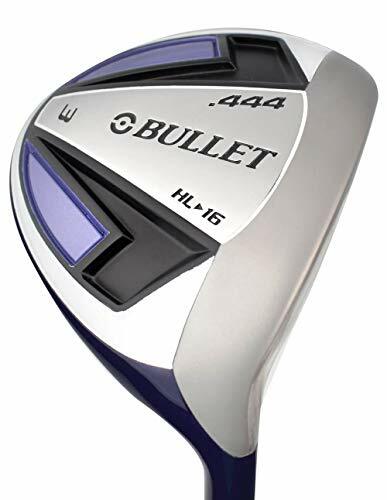 * Lighter carbon materials are used in the crown and sole to save weight that's strategically repositioned to create a lower center of gravity. * The Speed Pocket is lengthened for even more flexibility and more ball speed lower on the face. * A heavier movable weight provides even more personalization to create your preferred shot shape. 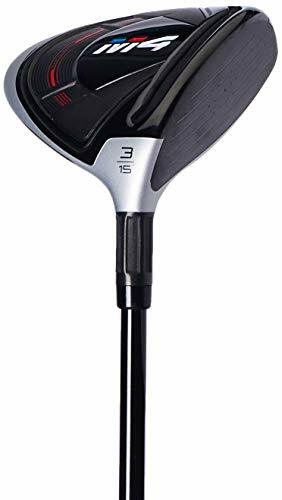 * TaylorMade's M3 fairway is ideal for golfers who want personalized performance and custom playability in a fairway wood. Features * Lightweight carbon crown and sole frees up weight that's repositioned for a lower, more powerful center of gravity * Lengthened Speed Pocket offers more flexibility and increases ball speed low on the club face * 29-gram movable weight offers more adjustability to shape your shot * Weight track features a new overhang for consistent interaction through the turf * 12-position, 4A adjustable hosel to fine-tune loft and personalize launch * Includes headcover Lighter MaterialsThe 5-layer carbon crown and sole saves eight grams of weight that has been moved to create a lower, more powerful center of gravity.Longer Speed PocketTaylorMade's signature Speed Pocket design has been lengthened to increase flexibility and provide more ball speed for shots hit low on the club face.Adjustable Weight TrackA single, heavier 29-gram weight moves along a track to provide more left-to-right shot adjustability. 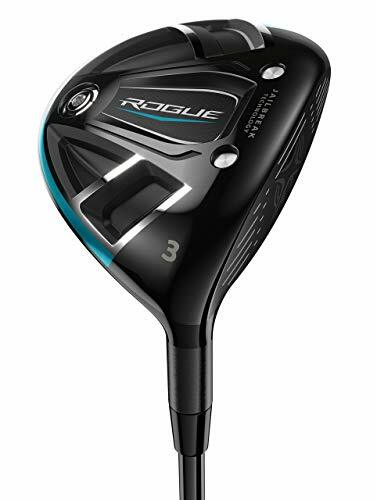 The track now features an overhang design for more consistent turf interaction.Adjustable Loft SleeveThe M3 fairway wood is available in three lofts, each with a 12-position, 4A loft sleeve to create your preferred trajectory. 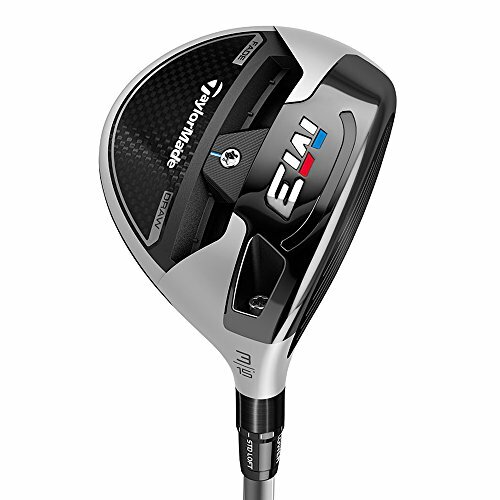 The M3 fairway wood uses a new generation of multi-material construction to save weight and create more power. The Speed Pocket is lengthened for even more flexibility and more ball speed lower on the face. A heavier movable weight provides even more personalization to create your preferred shot shape. 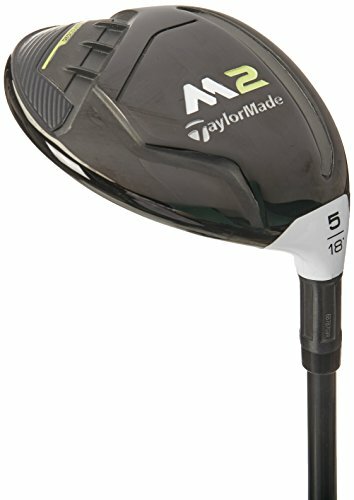 TaylorMade's M3 fairway is ideal for golfers who want personalized performance and custom playability in a fairway wood.